How to Adjust to Major Changes Coming to Upwork? Why Students should not Hire Freelancers to Write Essays? I wanted to feature a guest post. My efforts have flopped today. But that doesn’t mean it’s the end of the fun. The challenge has been a great way to show off my writing skills, which I hope is good for you all. Also, I’m gravitating toward more story ideas. Eventually, I’ll have to produce something. I may take the CreateSpace route when investing into editing. I feel like I need more. Maybe I should take more risks. I just want to create enough content that everyone can enjoy. Where do I start? I want to keep this review short, but how can I? This book lives up to the reader-writer hype. I admit. I was put off by all the wide-eyed praises. As I read the story, I could feel myself being pulled into cryptic talk, lies, and murder. So let me begin with themes. Let’s just get the literary devices on the table and how they affect the story. Economy – the novel often visits the characters’ financial standings and how money [it] drives their emotions–a parallel of our reality. Flynn definitely established authenticity there. Unreliable Narrator – my favorite theme throughout the novel is how the narrator’s are not trustworthy. I was immediately pulled into the story especially in the beginning with Nick’s sociopathic, Dexter Morgan-like demeanor. Setting – obvious and well placed. Flynn illustrates setting quite nicely. The reader can see the opportunity and the ever changing city of New York and Carthage, Missouri. 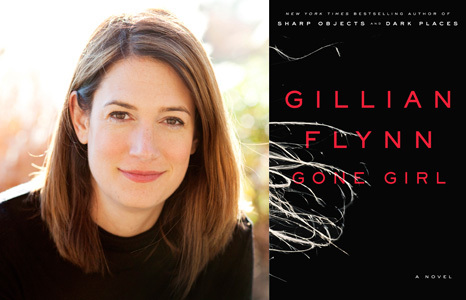 Flynn takes her characters to a small, slow point, which they have to recover, however, the madness of Nick and Amy Dunne take them into a spiral of deceit and wrathful daydreams. Family – Universal. Readers can see the drawbacks of a dysfunctional household as well as one that’s “amazing”. This book was awesome. The emotional investment I had in this book…my goodness. I wanted to find Jules and Vincent, the hitmen from Pulp Fiction, to pay Nick Dunne a visit. Why not? The man would have been fine if he just told the truth in the beginning. Amy is right, he is a dummy. A big, damn dummy with a hoard of silver tongue fibs that can drive anyone crazy. Thing is Amy was already crazy. Flynn, you got me. I was on Amy’s side until the bomb she dropped about the diary. I still felt like Nick needs a Ezekiel 25:17 speech. But Amy is crazy, bat crazy. By the way, I hate the phrase “fake it till you make it” and Flynn places it on the tongue of one of the most diabolical women in literature, an appropriate gesture. I’m glad I read Gone Girl. The author really gave readers a treat. Eloquent. Suspense. End result: Impressed. As a writer, I will try hard to follow Flynn‘s example. I’m enjoying this reading binge I’ve been on for a couple of days now. Along the way, I ran into book on GoodReads.com while searching for mystery and thriller genre books. Honesty first: I had know idea who Walter Mosley was until I read the synopsis in the inside back cover, which gives detail on the various projects by Walter Mosley. I had no idea he was the man behind Devil In A Blue Dress (great movie by the way). On to the book review…! …Is this book worth reading? Absolutely. The novel is fantastic. Mosley gives the reader a quick view into Debbie’s world from the very start. All I can say is the scene is not for kids, pre-teens, or teens for that matter, so prepare yourself. Mosley uses tangible imagery giving the reader lively illustrations of setting and character. However, there are moments where the story feels rushed. The meeting between Debbie and Jolie Wins’ mother, came and left. It wasn’t cohesive. Also, the ending felt rushed. I wanted to see Debbie (Sanda Peel) fight death’s urgency. 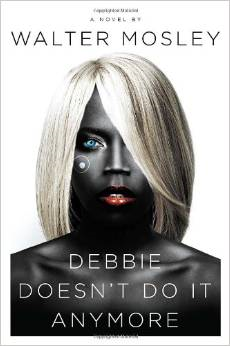 Maybe it doesn’t feel rushed to other readers, but I wanted more of Debbie’s story. Perhaps, first-person narratives are like this; where the narrator is only character that becomes dynamic. I like dynamic. Another thing I want to mention is hard-covers. Hard-covers are pricey. I’m all for supporting writers, but I could have waited for this to come out on paper back. Don’t get me wrong, Walter. I like the book, but a paperback would have been easier on my pocket.